It’s a windmill and a bar. Dutch Nirvana. Brouwerij’t Ij (try “eye” brewery, and you are pretty close) is situated on the eponymous Ij canal in Amsterdam, the Netherlands. The entire range is strictly organic, unfiltered, unpasteurised and brilliant. 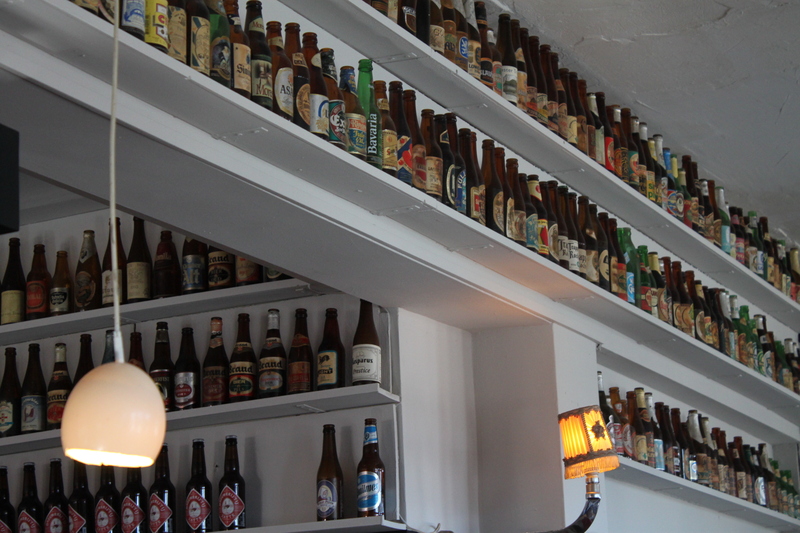 The walls are adorned with beer bottles from the world over, however you will only find Ij Brewery output on sale. Which is no bad thing. They were at the forefront of the craft brewery resurgence in the Netherlands and have casually swatted off emerging competition. As of writing, they produced a limited batch of IPA which is already sold out at source, and can only be found in dwindling supplies at stockists around town. So try it very, very soon, because if they don’t make this again, then you will miss out on an exceptional incarnation of the style. Slightly outside the centre, so it cannot offer splendid views of 17th century canal houses (instead, think messy 60s and 80s housing blocks). But there is a windmill to look at, so it’s swings and roundabouts. 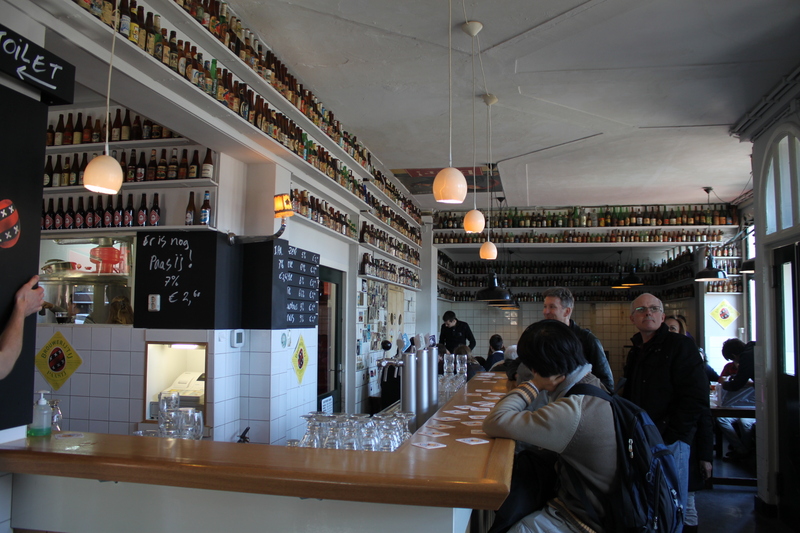 The interior is genuinely classy: the old washroom tiles provide continuity in style, if a little sterile; the old beer bottles permeate this feeling and add some warmth. The Ij brewery have got a lot right. There is history in their craft and this comes through in the enthusiasm and taste. Obviously though, I cannot give this a 10 as that would imply there are no beers better than those produced at the Ij. 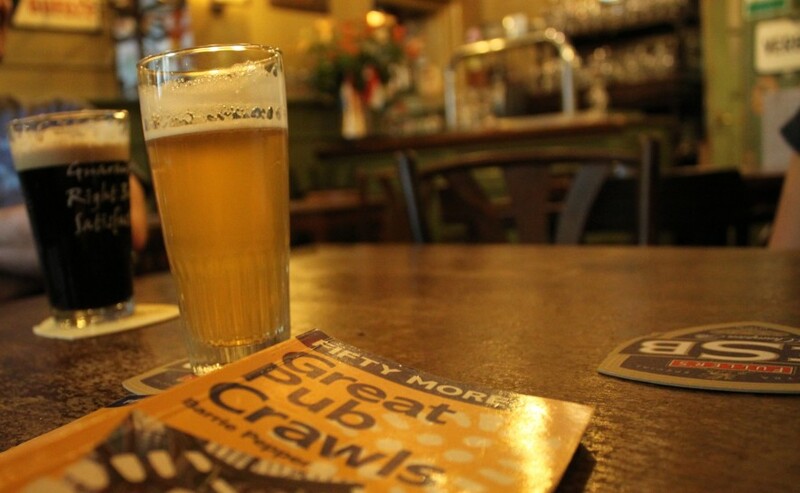 Blessedly, there are a growing number of microbreweries, and the 150 Perfect Beers list is resplendent with many. 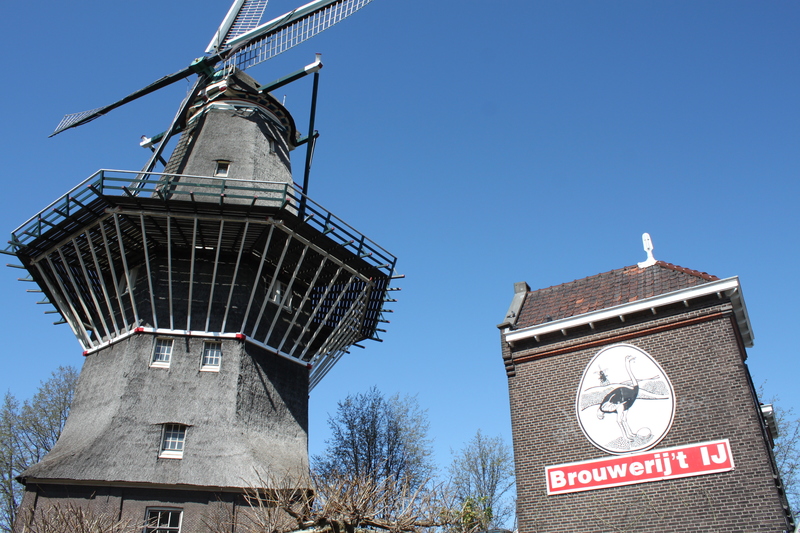 Brouwerij’t Ij was brewing before it was cool, and the resurgence in the Netherlands owes a lot to this flagship. And there is a windmill. Thanks for the writeup! 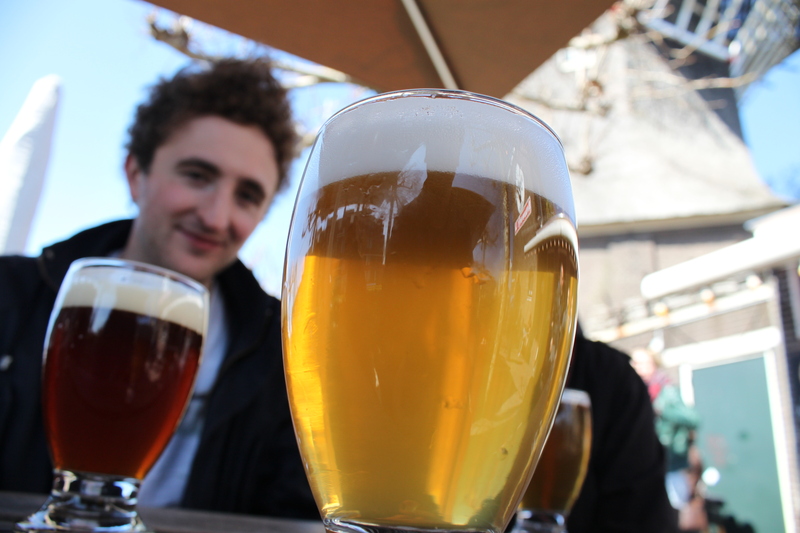 I’ll be in Amsterdam in about a month, and had heard of this brewery before. I was hoping to visit while we’re there, but I’m not a big fan of IPAs. I was hoping they’ll have some great unfiltered wheat beers for me 🙂 it doesn’t look like I’ll be disappointed! Hopefully the Ijwit won’t disappoint! Elsewhere, look out for the Blanche De Namur and Lap Trappe Witte.